You enter the number of hours worked per task. Ideal and actual remaining hours are calculated automatically. 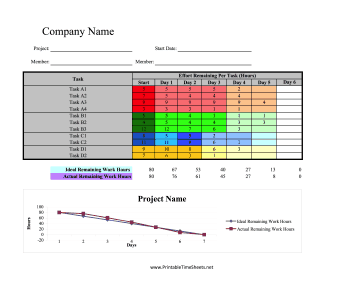 Data is presented as two line graphs that can be prepared for efficiency purposes.